Many organizations are trumpeting the importance of energy efficiency while also making recommendations on how to improve it. People are likely to accept these recommendations without much thought, since improving efficiency is seen as being inherently good. There is a maxim being touted by many, that improving energy efficiency is the fastest, least costly way to improve energy supply. This distortion of reality has become a widely accepted truism. Energy intensity is the primary measurement for how effectively the United States is using its energy resources, and is expressed as energy use per dollar of GDP. From 1990 to 2011, energy intensity for the United States improved 1.7% annually. From 1949 to 2004, the amount of energy required to produce one dollar of GDP fell by more than half. On the surface, this would seem to indicate there were, and are, great opportunities for improving energy efficiency … and supply. While there are opportunities, they need to be examined closely to determine whether they are worth the time and money required to implement them. While energy intensity fell by half during the last half of the twentieth century, it reflects the fact that the economy was shifting from a manufacturing economy, which used large amounts of energy, to a service economy requiring less energy. To a significant extent, improvements in energy efficiency were the result of a loss of manufacturing jobs, hardly a good outcome. By this measurement, i.e., energy/$GDP, not all improvements in energy efficiency are good for Americans. Yes, we used less energy, but we had fewer manufacturing jobs. There are other measurements that attempt to arrive at energy efficiency in various segments, such as residential, industrial etc., but each measurement needs to be examined carefully because they frequently have similar distortions. Too many organizations, like the American Council for an Energy-Efficient Economy (ACEEE), try to have the government adopt policies that are not necessarily good for Americans. They attack the use of energy as though using energy was inherently bad. For example, in 2012, the ACEEE evaluated the twelve largest economies for energy efficiency and the United States came in ninth. One example is illustrative: The ACEEE report showed the United States lagged behind China for energy efficiencies in buildings. The residential sector the United States scored a 1 (nearly the worst possible rating), while China scored a 5 (best possible rating). 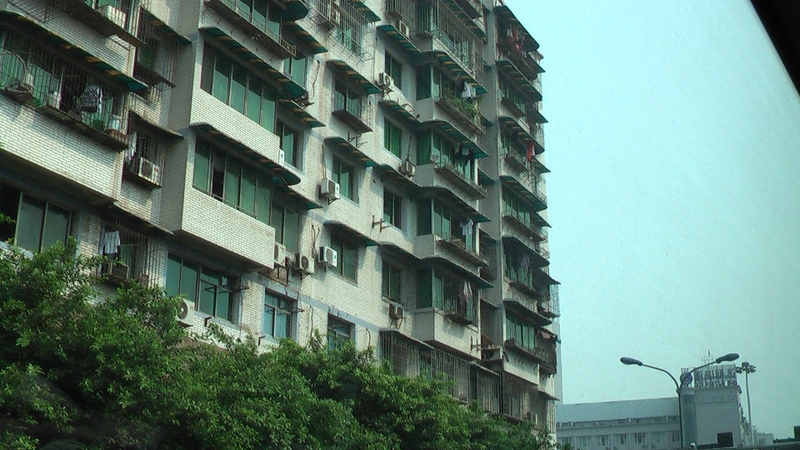 The ACEEE report piqued my curiosity since I had recently visited China and noted, during my visit, that many buildings didn’t have elevators and most apartments, i.e., condos, were built without air conditioning, so the occupants had to add individual air conditioning units. They also didn’t have clothes dryers, so clothing was hung outside to dry. This ACEEE ranking that China was more energy efficient than the United States, demonstrated the absurdity and bias of ACEEE. Amazingly, the U.S Chamber of Commerce adopted recommendations similar to those of the ACEEE, and even referenced the ACEEE as a source of information. The Chamber recommends, for example, that Congress and the President enact legislation to achieve energy savings. The Waxman-Markey cap & trade Bill proposed similar government mandates to achieve improvements in energy efficiency. It required homes to be inspected for energy efficiency with the results recorded on the deed, thereby essentially forcing everyone to meet government mandates no matter what the cost. Most of the Chambers recommendations in other areas, such as oil and natural gas development, were very good, and it seemed as though its recommendations for energy efficiency were an afterthought. On one hand, the Chamber calls for fewer government regulations on oil and natural gas development, yet for energy efficiency it calls for more regulations. The Chamber can’t have it both ways, and should reevaluate Chapter 5 of their report, ENERGY Works for US, so that its recommendations rely less on government mandates and more on everyday commonsense. Government mandates got rid of the incandescent bulb, while most people would have been able to decide whether CFLs or LEDs were better for their particular application. It makes no sense to install a $10 LED in a closet to replace an incandescent bulb that uses electricity a few minutes each year. Homeowners receive notices from their utilities about energy usage along with programs for improving energy efficiency. Utilities have established some of these programs as part of government mandates. Expensive energy audits are recommended by nearly every utility. Other utility programs usually fall into three categories. Providing some form of free assistance: For example, paying a bonus, say $50, for removing old refrigerators and freezers, or giving homeowners free compact fluorescent bulbs. Recommending the installation of energy efficient windows, furnaces, refrigerators or insulation. Organizations such as the ACEEE, and in this instance the US Chamber, fail to distinguish between what’s economically reasonable for existing buildings, and what’s economically reasonable for new buildings. Recommendations to replace existing windows, for example, with energy efficient windows is uneconomic and probably a bad idea for owners of existing buildings. Here’s what DOE’s Pacific Northwest National Laboratory (PNNL) says about triple pane windows it has used in its studies. At $25,000 or more, this is hardly a reasonable investment for an existing homeowner. It could, however, be a reasonable investment for a new building that will last long enough to recover the investment. The same thing is true with respect to insulation. It can make sense to install Tyvek or other similar types of insulation barriers, and to install R49 in ceilings and R16 or more in the walls during new construction. Attempting to retrofit existing buildings is inordinately expensive … and usually a bad economic idea. This is why common sense is required when making decisions about energy efficiency. Top down, one-size-fits-all mandates, as proposed in the Waxman-Markey cap & trade legislation, and proposed by organizations such as the ACEEE, are bad for the country. Commonsense can quickly determine that sealing openings, such as may exist around pipes, electrical wiring and windows, is very cost effective. These can be quickly identified by any contractor or home inspector using thermal imaging for a few hundred dollars … without an expensive full blown energy audit, even if paid for by a utility. Organizations, such as the ACEEE, are frequently motivated by issues other than energy efficiency when reporting on the issue or making recommendations. Any all-encompassing recommendations that rely on government mandates should be frowned upon, and rejected. I was informed by a contractor, who stopped by our place to see if he could climb under our crawl space to seal up a few air gaps, that he had stopped doing energy audits as only about 10% of the folks who had an audit done followed through to do any upgrades. I’m not at all surprised at California’s lack of results. First, there is the usual bureaucratic approach that stifles the program. Second, there aren’t that many residential opportunities for large savings that have a reasonable ROI. It’s got to be stressful for the different governmental agencies responsible for developing action plans to meet CA’s legislated goals of reducing carbon dioxide levels. I’d hate to be the poor guy calculating the effectiveness of this specific energy efficiency program to date. If one calculated the net carbon footprint of the mitigation efforts for the aforementioned program to date, using Dr. Kamman insights (as noted in his recent paper, reported over at WUWT http://wattsupwiththat.com/2014/01/07/canceled-carbon-footprint-savings/ “California, for example, has relatively low emissions associated with household electricity, but large emissions for transportation.”), the efforts would likely end up bring counterproductive to a goal of reducing overall carbon dioxide levels. I can see why Roger Pielke Jr. was a bit concerned about the stabilization wedges (see Table 2.1 in chapter II “ What We Know for Sure, But Just Ain’t So” in his book entitled The Climate Fix)……. WUWT is a great web site.